The low cost laptop could be a blessing for the students in Tamil Nadu and UP. A UK based computer company is set to launch a laptop called Aci Icon 1100 in India. 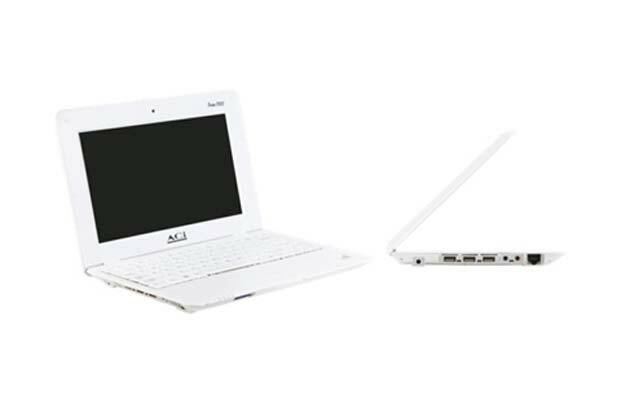 This laptop will come at Rs 4,999 ($88) and is a fully functional high resolution laptop. It is a Windows compatible device and will be marketed by BSE listed group companies, Allied Computers International (Asia) Ltd.
Around 200,000 laptops are expected to be in the market during its first year as said by ACI’s India marketer Allied Computers International’s (Asia) Managing Director Hirji Patel. He also said that the products of the laptop will be imported from China and will be supplied to the Indian market at a much cheaper price. But this will not be done by compromising on quality. Their models of the laptop will be designed carefully and developed like any other models that are launched in UK and India. According to Patel Indian market has a sale of around 2.5 million laptops per annum which is quite low compared to the Western countries like the UK and other leading European countries. These super low cost laptops will be introduced in states like Tamil Nadu, UP where the government has announced laptops for the students. The CPU of the laptop will be VIA CPU and the display is 10.2” LED of resolution 1024 x 768 pixels. The memory can be expanded from 512MB to 1.0GB RAM. The storage capacity is 4GB and can be extended to 32GB. It has a high definition audio along with 3 USB 2.0 I/O Port. The dimension of the laptop is 11.0 (W) X 7.25 (D) 1.0 (H) and weighs 0.7 kg (1.54 pounds) with battery. It also has 10/100 Ethernet Adaptor, a wireless Adaptor along with a 3G Ready (Optional). In addition to this 1 Push Card Reader along with MMC / SD will also be present.